Join House Alive for our most popular natural building workshop. Over the course of 10 days, you will build a complete natural cottage from start to finish. 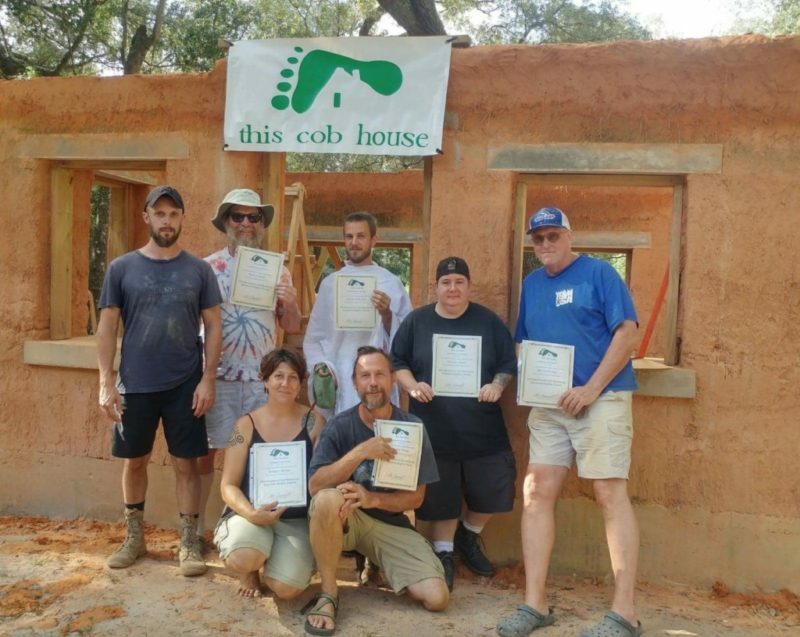 This intensive program will give you the confidence and knowledge to build your own earthen building. 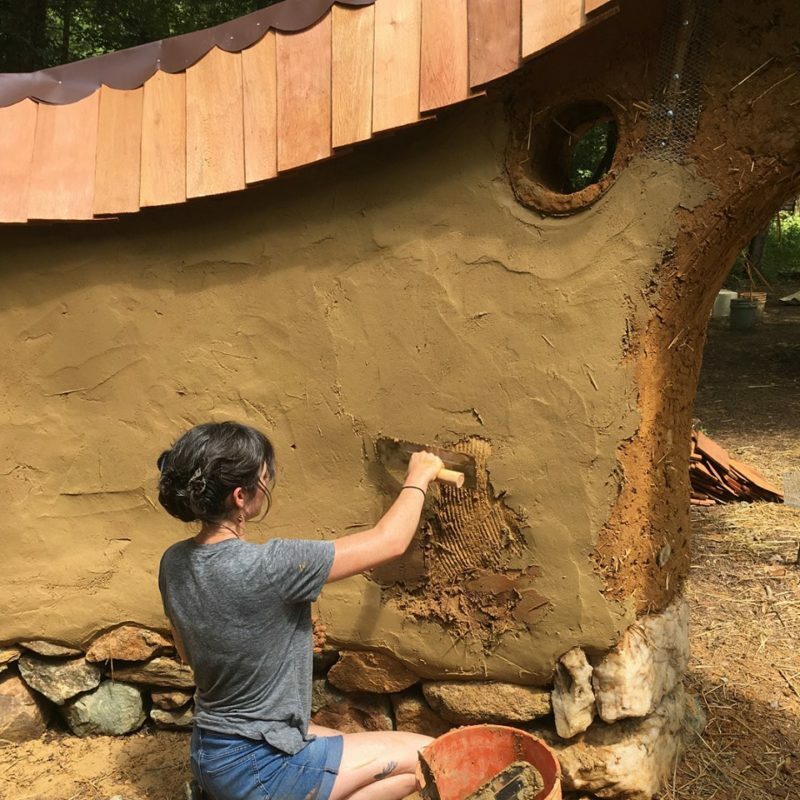 The structure will be mostly cob but will integrate other natural building techniques as well, such as straw bale, light-straw clay, and more. This will expose you to the full spectrum of options available and will help you learn how to apply them in a variety of situations. Clay-rich earth has been used for millennia as a building material. It is very abundant, inexpensive and easy to work with. It does not rot, insects don’t like it vey much, and thick clay walls add a lot of thermal mass to house, keeping it cool in the summer and more consistently warm in the winter. In addition, building with earth means we can create housing without the use of toxic chemicals or exploiting limited natural resources. Earthen materials have been used for millenea to create simple, comfortable shelters, and are still widely used worldwide. 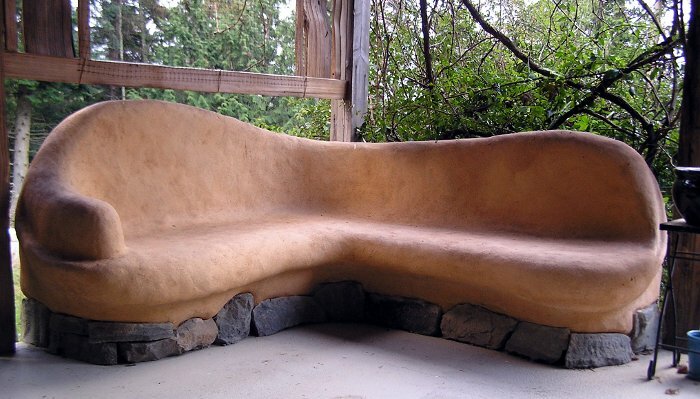 It’s estimated that 25% of the world’s population lives in buildings that include hand-made earthen materials. Earthen building is experiencing a renaissance in North America, as a result of the high cost, poor performance, and environmental destruction of conventionally built structures. Novice builders and seasoned professionals alike are are ﬁnding earthen building techniques irresistibly seductive. Our workshops always stress simplicity, affordability and the joy of building. These are key ingredients for minimizing environmental impact and taking care of ourselves. Last but not least, you will have an opportunity to experiment with earthen materials as a medium for art in the form of sculpture, plaster and paint. This often turns out to be a highlight for students, because the materials are so easy and inviting to work with. We will be building most of each day, every day, which means that you will be “learning by doing.” expect to work hard and learn a lot! We limit the class size to 16 people to ensure each student gets plenty of individual attention from the instructors. In addition to the building activities, each day has approximately 2-3 hours of presentation and discussion time to talk about concepts, present slide shows, or share thoughts and ideas. This workshops takes place in an ashram, 30 kilometers from the Adriatic Sea in Northeastern Italy, just 3 1/2 hours from Venice. Corinaldo is a small town with old, stone buildings in a mountainous region. It is close the one of prime wine and food regions of Italy and just a few hours from Florence, bologna and Pisa.